As probably the most well known holiday company in the UK, Thomson has a cruise division which has been in operation since 1973. It established its position in the all-inclusive market long before it became fashionable. The company, founded in 1965, has its own airlines, travel agencies and a whole host of other divisions to its credit. 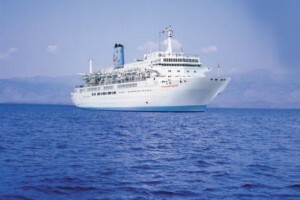 However, the cruise market dipped for quite a few years until the company picked it up again in 1995 by chartering one ship, The Sapphire, from Louis Cruise Lines in Cyprus. After this, several other ships followed including a customer favourite The Emerald and a ship that brought affordable all inclusive cruising to the masses, The Topaz. Following these successes the company, under the stewardship of David Selby, made its mark once again. Since then, the company has done a lot to move the niche market of cruising for the well off, to the mainstream that makes it possible for ‘ordinary’ people to enjoy. Indeed, it is the very name of the company that has people trusting in the product and from here, things have taken off again. 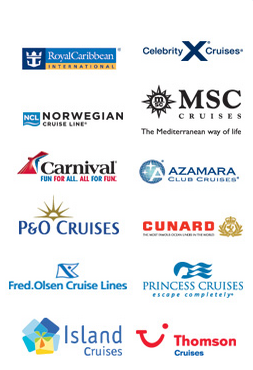 Thomson now has five superb ships in its fleet and attracts clients who trust the holiday company. Island Escape usually attracts clients from the budget end of the spectrum with a seven day cruise, including flight, starting at around six hundred pounds. This trip takes in the Mediterranean and the ship is a comfortable, low end, fun cruise. Oddly enough, the average age of cruisers aboard this vessel is around 45 and not, as one would expect those in the pensioner age group. This is a very friendly ship and guests can expect the same from fellow travelers. The Thomson Dream is probably the best ship in the fleet with luxury unsurpassed in the other four vessels. Since the ship is an older model, which has been refurbished in recent times, there is some old fashioned style with more room than normal on the sun decks. It also has an adults-only pool too for those who want to get away from the noise. The entertainment is also a little old-world too since there is a ballroom which hosts dancing before and after dinner every night. Classical piano is played while an up market afternoon tea is served and this all goes to add to the ambience of this ship. The 600 cabin Thomson Spirit is slightly smaller than the company’s flagship but it does have a ‘ship’ feel about it rather than a floating resort look. 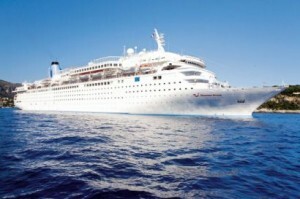 In 2012 it will set sail to the Middle East for seven nights and will call in at Cyprus, Turkey, Egypt and Jerusalem. Indeed, this is a wonderful trip for those who want to see several countries in just one week and details of this trip can be found online. When one is looking to book up a cruise, Thomson Cruises have a rather interesting template on site which allows people to not only find out what cruises are available when the guest wants to travel, they can also pick the ship they want and the style of the ship as well. Add in the span of cost and a tailor made trip will be forthcoming. Don’t forget the special deals on site and these can have some rather large savings too.